Curly in the City: uniforms are so dreamy! There are no words to describe the admiration, excitement and love I felt when I opened a recent email, and saw these! 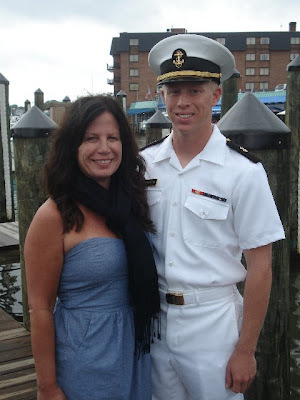 He is done with basic training, and off into his years at USNA (United States Naval Academy). 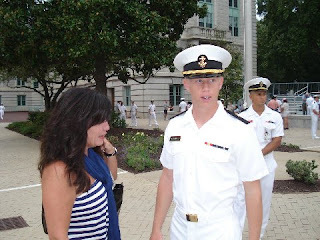 These were taken this passed weekend at 'Parents Plebe Weekend'!!!! I am counting the days til I get to go visit him - only 3 weeks left! I know this isn't fashion related, however I am soooo proud of my brother and this is something near and dear to me, so enjoy my chronicles of 'My Brother rocks my world!" What are you talking about?! 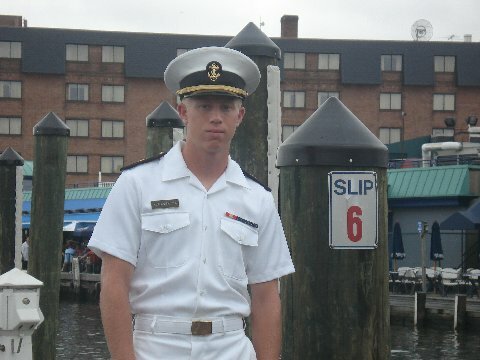 Navy uniforms not fashion?! It's classic! And he looks so cute and so professional. Congratulations with basic training! Awww your brother is ADORABLE in his uniform and congrats to him for completing his training! I am like a proud Mama!! He totally rocks my world!!! @Rachel - yes talk about classics!!! Those are it! let's keep the girls AWAY from your brother !!!!!! GO NAVY - BEAT ARMY !!! How great! Congrats to him on completing his basic training! great post thanks for sharing you guys must be so proud !! !